Please note that this is only a brief outline of what is involved. Our club nights are a great source of information and there will always be someone who will answer any questions you may have. 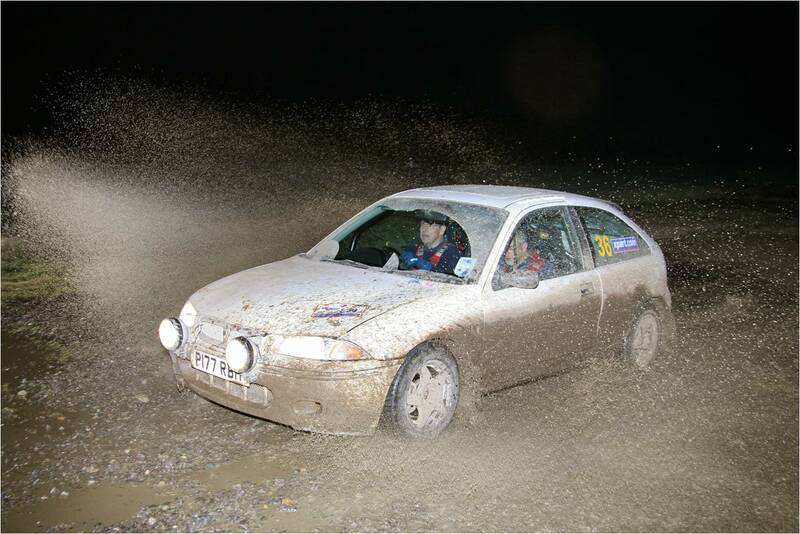 Scatter Rallies, 12-Car Rallies and Road Rallies are all similar in nature with Scatters being regarded as the simplest form of rally with 12-Cars next and Road Rallies the most difficult. It follows therefore that the requirements for vehicles, paperwork etc are also similar. 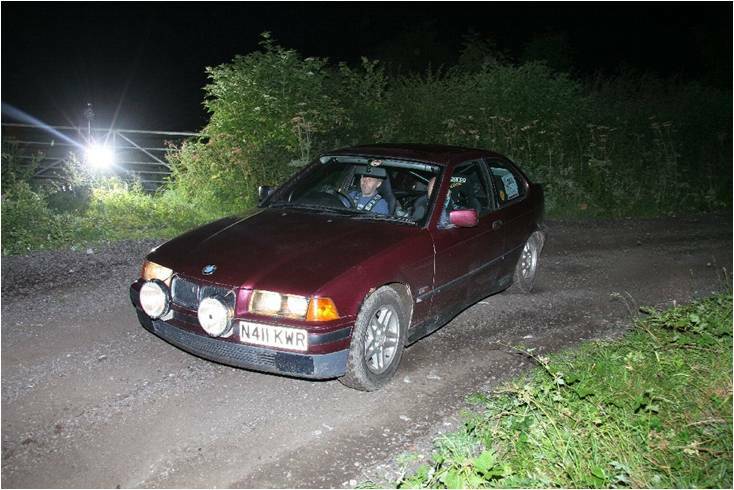 A navigational test held on public roads that lasts most of the night. They usually start at 11 pm and finish at around 4am. In simple terms they are like several 12 car rallies put together. At the start you are given a series of instructions, which define a particular route to be taken. On our events these take the form of envelopes each of which deals with one section of the route. Once the envelope is opened it tells the navigator what route to take to the next Time Control where a marshal will be waiting to check off the time of arrival. Once there the next envelope can be opened and the process repeated until the finish is reached. Along the way there will usually be some unmanned controls designated by marker boards with a couple of letters which you have to record in order to prove that you have followed the correct route. The event is run to a time schedule so each of the controls should be visited at a specific time, assuming of course that everything is going to plan! Although the basic principle is fairly simple, in practise things are not quite that easy. The instructions for which route to take can at times seem to be puzzling and take some time to decipher. The organisers can usually be relied upon to throw a few problems in along the way for the more experienced crews. For drivers a valid driving licence and club membership card and a non-race National B licence, which costs £34 from the Motor Sports Association (MSA). For navigators a club membership card, a non-race licence and Ordnance Survey 1:50000 maps of the area. There is a class system on road rallies, but this relates to the experience of the navigator rather than the vehicle used. There are usually 3 classes - novice, semi-expert and expert, so you generally only compete against crews of similar experience. Any road legal taxed, insured and MOT’d car is acceptable. A navigator to help plot the points and tell the driver where to go (spouses, girl or boyfriends are usually good at this!). A map light for the previously mentioned navigator. A piece of wood to put under the jack if you need to change a wheel, as you are likely to be using some obscure lanes. Entry fees are currently approximately £50 an event. Enough petrol for about 120 miles. There are numerous events around the country that our members are invited to compete in. Due to the nature of the event the navigator can suffer from varying degrees of carsickness. You will be driving on narrow roads at night so while it is possible to use a large car it can make life a little awkward. You will be out all night so you need the ability to stay awake and alert. The state of some of our roads does also mean that it is possible to pick up a puncture. The event is on public roads so you have to be aware of other road users and abide by any traffic laws and speed restrictions, and there will often be club officials checking this. If taking a spouse, girl or boyfriend as a navigator it can cause a certain amount of stress when things do not go according to plan!